Peanut Butter Blues & Melancholy Jam is one of the most unique and fully-formed British grime albums that I have heard in a long time. Why? It's a story of everyday British culture and the depressing truth about urbananised societies, seen through the observant eyes of a true writer. You don't get many of those these days. Despite the fact that he delves into various deep topics on the LP, Ghostpoet has an exceedingly dreamy approach to both life and the way he raps, as we can see from his sleepy delivery, which draws you further and further into the album as you want to know more about the influences and reasonings behind his music. We see a prime example of this on the track 'I Just Don't Know' where he declares that "Other MCs want to talk about crime, but that ain't me." but then throws you completely off guard with a rather gleeful chorus that you instinctively want to sit and hum along to. 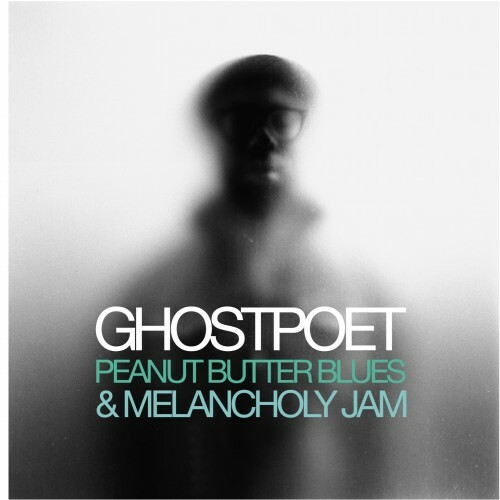 This approach is seen throughout the entire album which I find very intriguing, as it's the sort of thing that Mike Skinner experimented with in the early days of The Streets, so let's just hope that Ghostpoet continues in this direction. Don't be dissuaded by his spectacles and nice hats, this by far one of the most influential albums of 2011, particularly in terms of the UK underground scene. I hope you think so too.